Our son Jonathan was an athlete. He never caught a break in hockey despite his size, shot and skating ability. He was a defenseman, left side, left-handed shot and he loved to hit. As a 15 year old, he attracted the attention of a Junior B team in Vancouver and the University of Alaska. When his hockey dream began to fade, he dedicated himself to his other favourite game. 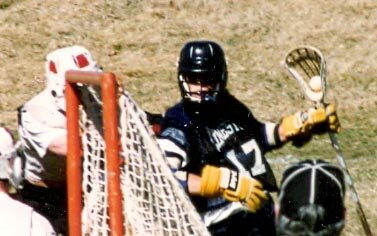 He played Junior A Box Lacrosse in Winnipeg at 16, up against men. Junior A includes 20 and 21 year olds. Jonathan scored 55 goals in 14 games during his first year and had more than 50 goals his second year. 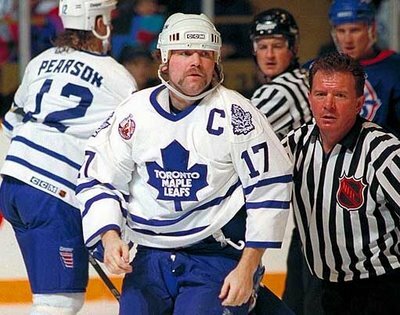 He was recruited by teams in Ontario because of his stick skill and eye for the net. But, he wanted to play in British Columbia where he learned the game in the New Westminster Salmonbellies organization. He wasn’t yet 18 when he made the roster of the Junior A Victoria Eagles. The BC Junior Lacrosse League produces some of the best players in the world. Jonathan was a lacrosse left-hander in a sport where goal scoring lefties are highly valued. The Victoria team found him a job and he was living with two teammates when he decided that working in a factory wasn’t for him. The phone call went something like this, “Dad, I have to go to school, can you help me”? Five American colleges expressed interest but it was Limestone College in Gaffney South Carolina that made the best scholarship offer. The program was just a few years old and Saints Head Coach Mike Cerino took a rider on the Canadian kid he had never seen play. The only thing he knew was that Jonathan had a great stick and could score. All #17 ever wanted was the opportunity. Jonathan had the distinction of being the first Canadian to play for the Saints. It was a recruiting door that opened for Coach Cerino and Canadians have been important to the success of the program ever since. Jonathan also led the team in goals for two of his four seasons. His accomplishments will forever be a part of the Limestone Saints Men’s Lacrosse history. 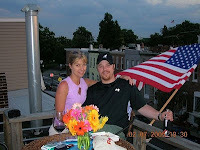 After graduation, Jonathan married his girlfriend, the lovely Anna, moved to Baltimore Maryland and became a mortgage broker. He eventually owned his own business in partnership with another former Limestone lacrosse player, Rob Jenkins. The kids, and they were just kids, bought themselves a row house in historic Federal Hill. It was built in the early 1900's but had recently been renovated. Life was good! The future looked great but then Jonathan died tragically in January 2008. He was 32. It started when he was quite young. His friends were enamoured with #99. Wayne Gretzky was everything. For some reason, Jonathan gravitated to the Toronto Maple Leafs, not the Edmonton Oilers or his home town Vancouver Canucks, it was the Leafs. 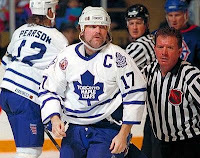 His favourite player was as tough-as-nails, a power forward named Wendel Clark - #17. So he began asking for #17 on every team he joined. Over the years, in two sports, there were only one or two times when #17 was not available. Now that he's gone, #17 is like a lightning rod for me. As our grief counsellor said, everytime you see the number it's just Jonathan saying hello. My gawd there are days when he says hello a lot. With all the recent publicity about the lasting impact of concussions on the victims, my wife and I have wondered. Jonathan had three concussions. The first came at the age of 15, when he was the Captain of the New Westminster Royals Bantam AA hockey team. He got hit from behind in a corner. The impact caused him to spin awkwardly. As he fell, he hit the base of his skull on the edge of the boards, beneath the bottom of his helmet. He was unconscious before he hit the ice. The second was while playing for the Victoria Eagles lacrosse team. He went down to scoop a loose ball. Jonathan was cross checked in the face, forcing his helmet to rise up at the back. Almost simultaneously, he was crossed checked from behind, again at the base of his skull. The impact was violent enough that the two opposing players went down, but Jonathan stumbled to the players’ bench. Two weeks later he was back in action, stripped the ball from an opponent and turned to head up the floor on offense. The opposing player jumped on his back, ripped off his helmet and began throwing head punches before Jonathan could defend himself - concussion number three. At this point, the team told him they would not allow him to return unless he had an MRI and was cleared by a doctor. By the time that happened, his season was over. To the best of our knowledge, he did not suffer any other concussions. What really happened inside his brain from those three bone jarring incidents? Were those concussions part of the reason why he suffered panic attacks years later? A doctor prescribed the anti-depressant Zoloft, a drug we have since learned carries the stiffest suicide warning the Federal Drug Administration issues in the USA. On the weekend Jonathan died, he had decided he did not like how Zoloft made him feel. Being the stubborn self starter that he was, he stopped taking the pills without medical supervision. I talked with him three times on the Friday. He was excited about some pending business deals. He didn't sound depressed. He had found a new deli in his neighbourhood and was ready to play even more rec hockey at a different rink. He spent Saturday with one of his best friends, Brian Bauer and everything seemed fine. On Sunday, he spiraled out of control and whatever dark place he found, resulted in his tragic and untimely death. We will never know exactly what happened in those final hours or why. All we have are memories. My wife once said to me that our job as parents is to make memories. She was so right. Had we not done so, had we not instilled that same mission in our children, we would have no joy. Jonathan formed strong friendships. He was a big personality and loyal. He could fill a room all by himself. If you were one of his guys, he always had your back and expected nothing less in return. His closest friends were almost all athletes. They shared a common bond. Many are former teammates. One thing is sure, they worked hard and they played hard, high achievers every one. Today, several of the friends keep in touch with Terrie and me because we have a common bond, Jonathan. As one of his best friend's recently said "#17 in your program, #1 in our hearts". Thanks Brian. I proudly wear an NCAA Lacrosse, National Championship ring. It commemorates the victorious 2002 Limestone Saints. It was a gift from brothers Brian and Brad Bauer, teammates and best friends of #17. When Jonathan died in '08, the Bauers wanted me to have the ring. It was Brad who played on the championship team and wore Jonathan's #17. Brian and Jonathan graduated before the Saints reached the peak of their performance with championships in 2000 and 2002. In an emotional moment at Jonathan's memorial in Baltimore MD, a moment I will never forget, Brian Bauer said to me, this is the ring Jonathan should have won. They wanted me to always remember the Saints, the teammates and their accomplishments. The Bauer brothers know how important it has been to me. 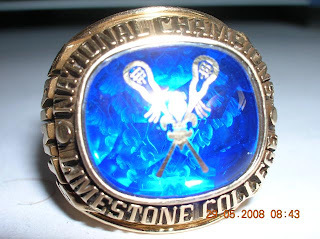 The inscription on the side of the ring is the motto of the Limestone Saints - "If you couldn't play tomorrow, how hard would you play today?" It speaks to attitude and determination, to never giving up, to the fight to win. I read it and live it daily. On October 8, the 2000 national championship team will be inducted into the Limestone Sports Hall of Fame. Congratulations guys! Both the 2000 and 2002 championship rosters include many of Jonathan’s friends and/or guys he helped out along the way giving them jobs at the bar he ran in Gaffney South Carolina so they had pocket money, or, giving them career advice and training, or, they were just lacrosse buddies. The Hall of Fame looks good on all of you as athletes. As for the good friends, you know who you are. I will close with this - you are already in my Friendship Hall of Fame.